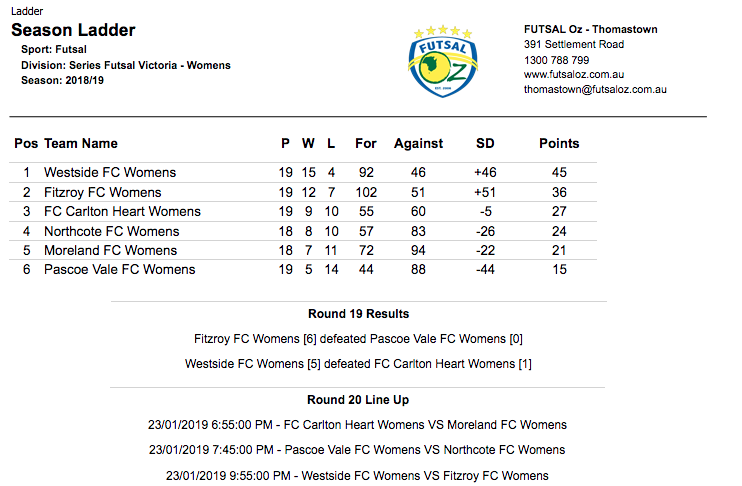 Our first game of the new year in the top division saw Fitzroy take on Pascoe Vale and with both sides heavily depleted, there were a lot of new faces on show and it was Fitzroy who opened the scoring through an Emily Ruben strike to give her side the lead. Soon after Azize Erenli struck to double the advantage which Fitzroy carried into the half time break. 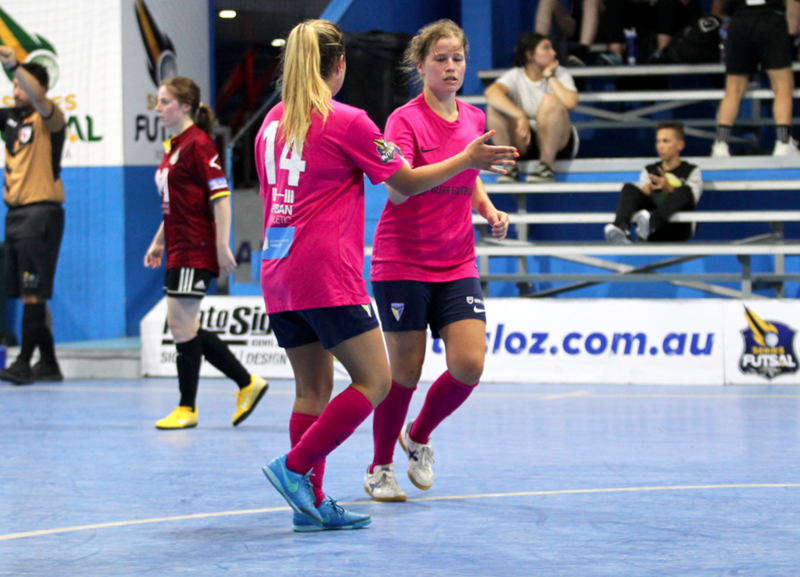 A strong second half from Fitzroy saw them maintain their clean sheet while finding the net a further four times with Ruben bagging her second as well as a brace from Emily Blake and a single from Katrina Tsalikids rounding off a much needed win for Fitzroy. The final game of the evening saw ladder leaders Westside out to seal the title as they took on third placed Carlton Heart. 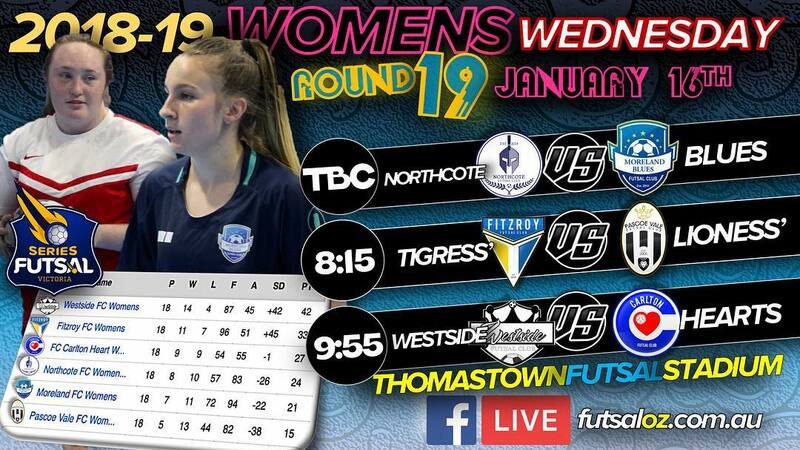 Carlton were hoping to spoil the party and got off to the better start as they struck first through Rebecca Saber under some pressure, but Westside hit back through a Katie Storay strike to level the scores. Storay then fired home again to give her side the lead at the break. 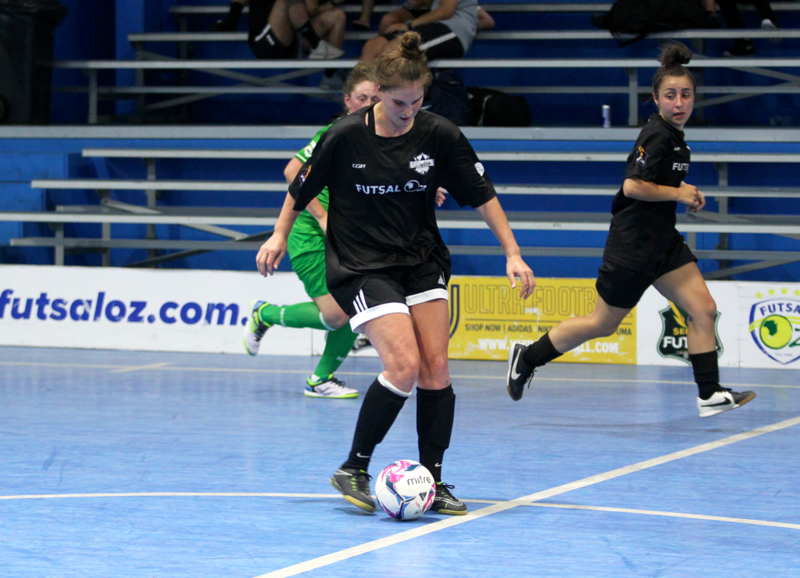 After some resistance Westside struck again through Penny Bakopulos to give her side some breathing space and late on Carlton had simply given up as Elly Torre & Lisa Fonua polished off the result to seal the league title for Westside with two games to play.